Samsung has been making Chromebooks ever since it introduced the first one way back in 2011, but now it’s ready to up the ante a notch with its new Chomebook Plus and Pro. 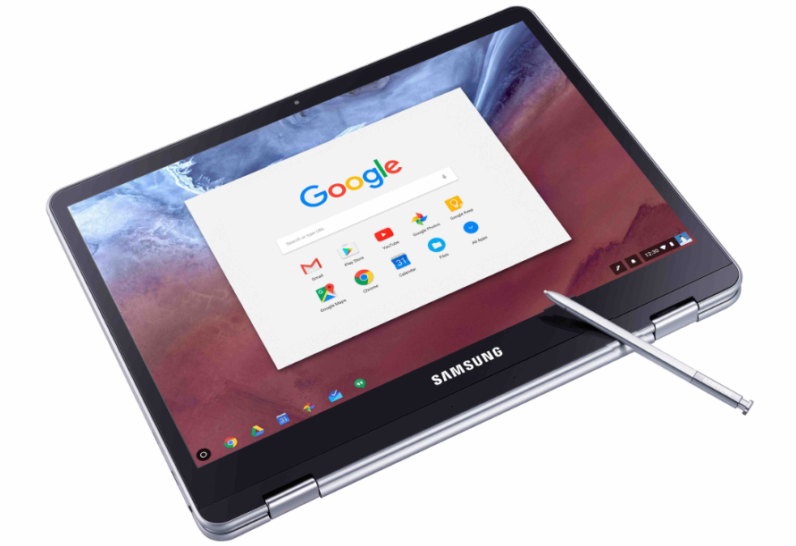 This time around, they can run any Android app from the Google Play store, and they’e also the first Chromebooks to come with a stylus. The bezels are refreshingly small, and the stylus is notched in the side and looks much like a longer version of the one on the Note 7. As you’d expect from a stylus-toting laptop, it turns into a tablet by flipping over the screen. Google first brought Android support to Chromebooks in September (after announcing it in May), but it was limited to just a few models. It’s nice to see more models bringing Android support, and stylus support should make the tablets a lot more useful for students who prefer to handwrite their notes. The Chromebook Plus will be the first to launch, arriving in February for $449. The Intel version will arrive in the Spring for an undisclosed price.